Detailed issue: I highly dislike the new change to stalkers exploding when in collision with titans. I demand reversing that thing. I also want to kindly ask you for being more open with patch notes, and tell us everything when it's changed. Be more communicative towards your fanbase. Otheriwise, I would love to see the new Amped Weapons timer buffed a bit, atleast to one minute of lasting, but I see what you did there and what is it's meaning. The rest of nerfs is fine as it is. No screen capture needed I guess? UPDATE: JayFresh fixed the patch notes issue and explained changes, so I have nothing to complain about as of now..welp, besides from Stalker issue. It is a good idea to force titans to actually work for their points, but the stalker effect is just too op to them. You should lower the damage they take as of now. Please, consider lowering the dealing damage they do now, OR buff up points gained from killing them, because it is a bit unfair to get one point for a very dangerous exploding machine, just as for a grunt, who does completly nothing to you. Map any so far and mode. I am seeing some animation issues when I am getting out of my monarch. It will pause my view for a moment and then get out as if the second half of the exit animation is broken. 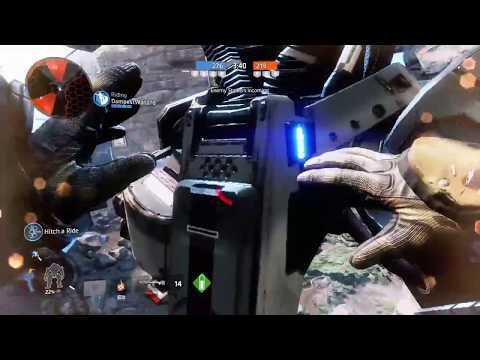 When stealing a atlas tier titans battery my pilot goes for completely wrong spot, the battery when you are putting your hands on it isn't there you are grabbing more so at the shoulder and the batter is just floating above you. Detailed issue: I highly dislike the new change to stalkers exploding when in collision with titans. I agree completely. LEAST that could be done is to reduce the damage taken from stepping on them. For now each stalker takes away 1/2 a bar of HP which is WAY too much. A Ronin/Northstar lose almost all their health just from one group. I understand you might be trying to push player into playing other modes, but I don't find ruining the most played ones acceptable. 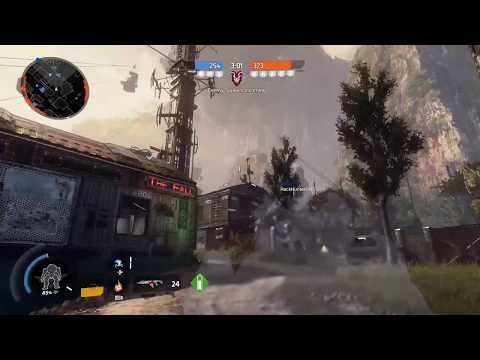 After all the game is called Titanfall and titans should have a major role in such case. To much damage from stalkers road kill please roll damage taken back. Either roll the damage the Stalkers do exploding or give us 2 points for killing them. They take up to three 40 mm cannon shots to kill one, so make my time worth it if we have to kill them. Haven't experienced the Stalker problem yet but agreed completely. Please reduce damage. Animation issue. Rodeoing a friendly Titan with a battery on your person results in the frag grenade down the battery hole animation playing. Comment : the uptade is cool , but dont do shady stuff like not delivering complete patchnotes. War game is good. But who's "good" idea was it to buff stalkers??? Many animations seem to be broken and glitched, especially around titans and the War Games Intro sequence. Thinks like entering a Titan or pulling a battery. Can you reproduce the issue: It almost happens all the time. Tone Prime and Ronin Prime still have broken nose arts from the Monarch Reigns DLC. Also the camos are stretched when applied to Tone Prime, severely reducing quality. All platforms, stalkers now explode and take way too much health from a titan. You've nerfed titans into the ground with this ridiculous change. How can you possibly think this is a good idea? You are ruining this game and trying to make titan combat unnecessary. Stalkers and amped weapons ruined in this update, with the such quick kill times I'm this game I never found amped weapons to be an issue you just had to kill them more efficiently, the new stalkers are a bit ridiculous as a titan should be able to hold a point down since you know, it's a titan? Especially with everyone having antititan now they just feel so weak. The melee in this game is still completely broken. I'll swing, see my character's arm move to punch, and still get melee'd by the other person. Could you guys please either figure out a way to make it 100% obvious that the other person melee'd first, or take this broken melee out of the game? It's beyond frustrating.. Getting killed and losing is one thing, but not understanding how or why is beyond annoying in an FPS. Jay already said they're looking at Melee, they realize there's issues with it. However, when he said that, there wasn't enough time for them to get anything in for this DLC drop. My guess is the DLC drop for July or August would have the fix. I see nothing wrong with actual melee , i win 75-80% of my melee interaction because i'v good internet connection and sharp reflexes. Reflexes have next to nothing to do with it if, on my screen, I swung before you. And since I typically have 5-10 ping on the US East server I know it isn't lag. On Xbox One I'm seeing a LOT of broken animations. Getting out of Titans, getting into Titans, Getting out of Drop Ships (doors closed, then i fly through it) all sorts of weird stuff that never happened before and on any map too. Secondly, the X button is just not working when I try to disembark my Titan. 80% of the time it starts the reload animation sequence instead of letting me out - even if my Tone 40 mm gun is full. That never happened before either. And I'm getting no salvo lock for Tone after 3+ critical hits on Titans. Other times, I shoot wildly into a group of Titans and suddenly it locks onto all of them. Just broken nonsense. Please stop putting unpaid interns on your Dev Team or Q&A Team. Issue: I am carrying a battery, I leap on to a Friendly Titan's back to give it to them and I drop a Grenade into his battery hole and then Leap off. This isn't just an animation issue, I am doing damage to a Friendly Titan and I kept the Battery too! This is a game breaking Behavior. Please do something about your Q&A testing, because this is ridiculous. Same thing happened to me on Xbox One multiple times. However I actually did damage to the friendly Titan and I kept the Battery ! I have a video showing it too, so this isn't just cosmetic. Issue: when I disembark, my pilot freezes for a moment before fully exiting. 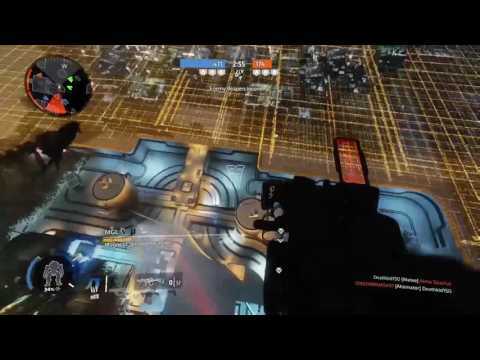 Issue: Pilots can climb the wall corners till really high with no Tried to flee the battle message. Can it be reproduced: Yes, take a look at my video. Dropped my titan on the patch of grass next to the tunnel closer to C....like I have before. I jumped in it and I'm dead from a fall? @Jayfresh_Respawn I've also seen people claim that the rodeo is glitched. Apparently when you rodeo a friendly titan to say give them a battery, you damage them instead, but trying to rodeo enemies acts as if you were rodeoing friendlies, I havent experienced it myself, but I thought I'd note it here. Also apparently when you disembark your titan you get frozen for a bit and its annoying. Thats all I can say for now, but I encourage you all to report these issues calmly, rather than ranting. Yes there are multiple bugs that snuck their way through, but the faster we can bring attention to them, the faster they will get fixed.